More than 800 runners pounded the streets of Chichester city centre as the 28th year of the Corporate Challenge got off to a flying start. 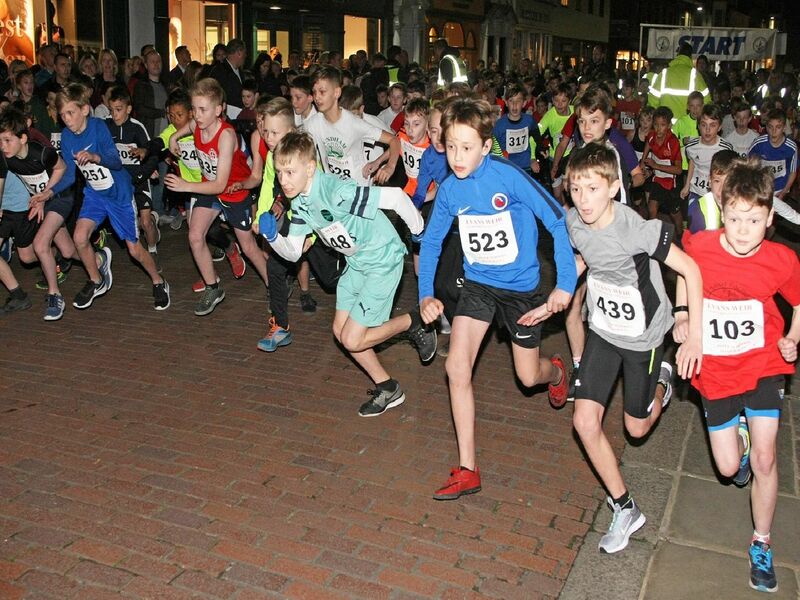 A total of eight races, featurinbg everyone from primary school pupils to elite senior runners, were keenly contested and well supported, starting and finishing outside the Assembly Rooms in North Street. The main A race of 4.5k was won by City of Portsmouth's John White in a time of 13min 26sec. We'll have full coverage including a list of finishers and their times in the Chichester Observer but for now, scroll through our picture pages to see if you can spot yourself or anyone you know in photographer Derek Martin's images.